EoC is not a foreign term, especially in certain areas in Africa. In the Congo, which to the constant political turbulence is added the difficult economic situation (in 2011, the Congo occupied the last place in the UN’s human development index, with a medium annual gross income per capita of $280 U.S.), the Economy of Communion had already arrived in 1991. Furthermore, at that time there was no clear understanding of the new economic model which this project proposed, especially on how to implement it, explained Corneille Kibimbwa, one of the local leaders of the EoC. The proposals that were put forward to create new businesses had a hard time transforming themselves into reality, especially due to lack of finances. Nevertheless, the EoC Pan-African School in Nairobi last January 2011 had constituted a new start: a new desire to discover the proposal of the Economy of Communion which has given new impulse to entrepreneurial initiative. It has been a year of great ferment in Congo, both in regards to the theoretical spreading of the EoC, and for the creation of new entrepreneurial businesses. In order to supervise both aspects, the local EoC commission and the “Association pour l’Economie de Commmunion” (Aecom), which has been given ‘juridical entity’ recognition from the State, has the task of working for the diffusion of the Economy of Communion in the country, in particular in the formation of new entrepreneurs. A first appointment took place at the end of August 2011: ten people who were already part of a business were present and fifteen others who were starting a new one. A monthly meeting has arisen from these experiences with exchanges and formation, during which all those wishing to create new businesses find themselves amongst those already on the way: as a result, diverse business ventures have now started in Congo. They are mostly small family businesses, such as one that rents wheelbarrows, one for the production of soap, one for reselling electrical material, and a store for essential items in a poor quarter of Kinshasa. Some businesses which already existed have adhered to the EoC: for example, the case of a medical office in Kinshasa and a little business belonging to a woman who, without money, has been able to establish herself as the intermediary in the sale of bread, taking the product on credit to begin the business. In addition to contributing to bettering the quality of life of their family nucleuses of origin, the little businesses of Congo, through the sharing of a part of their profits, contribute to alleviating other situations of poverty, like Martine’s. An initial gift helped her to pay the rent and the medical fees she regularly incurred, while taking care of two little girls. In the spirit of reciprocity, Martine wanted to start her own activity of selling fish, thanks to which she can look after her needs and contribute to those of different families in her neighbourhood. The positive results which emerged in 2011 encourage the Aecom Association and the Congolese EoC to look to the future with optimism and to program new activities for the spreading of the EoC. In the two seminars which took place at the end of March in the cities of Goma and Bukavu, there were 300 people, while from the 26th of April to the 3rd of May, Corneille Kibimbwa and Gibby Tshinoka from the local EoC commission have held nine conferences in the second city of the Congo, Lubumbashi (2000 km southeast of Kinshasa): in various venues, universities, cultural centres, entrepreneurial associations, as well as the local Focolare community. More than 400 people were involved and among these 70 per cent were young people under 25 years of age. One was struck by the quality of the people who participated at these encounters: of these, over 90% of those who left their impressions have expressly asked for the chance to deepen their knowledge of the EoC and others have suggested that more seminars be held, while others have decided to adhere with their existing business. 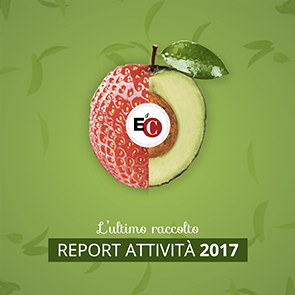 «Per presentare l’Edc abbiamo deciso di adottare un approccio pratico – racconta Corneille Kibimbwa – adattando la nostra comunicazione all’ambiente e alle persone che avevamo di fronte: il nostro scopo era infatti non solo informare, ma soprattutto suscitare risposte imprenditoriali di nuovi protagonisti Edc». Nei prossimi mesi si organizzeranno altre presentazioni destinate a imprenditori e potenziali imprenditori nelle città di Kinshasa e Kikwit-Idiofa. Inoltre si stanno programmando nelle università del Congo, aventi sede a Kinshasa, diverse conferenze sul tema “Economia di Comunione, nuovo paradigma per lo sviluppo del Congo”. Insomma sembra proprio essere “l’ora di Edc” in Congo. “In order to present the EoC, we have decided to use a practical approach, says Corneille Kibimbwa, adapting our communication to the environment and to the people we were facing: our aim was not only to inform, but above all to bring forth entrepreneurial answers for the new EoC members.” In the next few months other presentations will be organized, aimed at entrepreneurs and potential entrepreneurs in the cities of Kinshasa and Kikwit-Idiofa. As well, various conferences on the theme “Economy of Communion, a New Paradigm for the Development of the Congo” are being programmed in universities of the Congo, having their headquarters in Kinshasa. Well, it seems truly ‘the hour of the EoC’ in Congo.